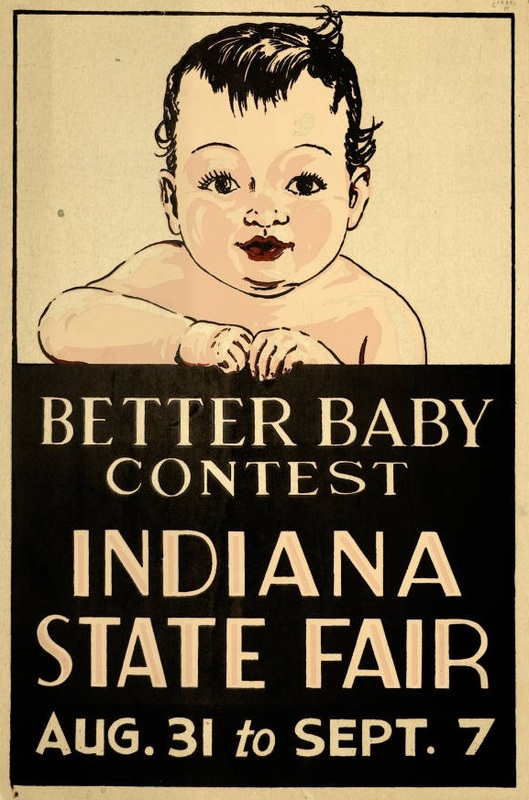 During the month of March, the Indiana Historical Bureau will be pitting potential historical marker topics against each other in a single elimination tournament. The 32 topics will go head-to-head and YOU get to decide who will move forward. Each day, there will be a featured match up from one of the four divisions: Politics & Military, Economy & Technology, Culture & Arts, and Community & Society. Voting for the featured match will start at 5:00 am and close at 5:00 the next morning. You can vote on Facebook and Twitter so follow us on both to participate! Check back here to see the results and the updated bracket. 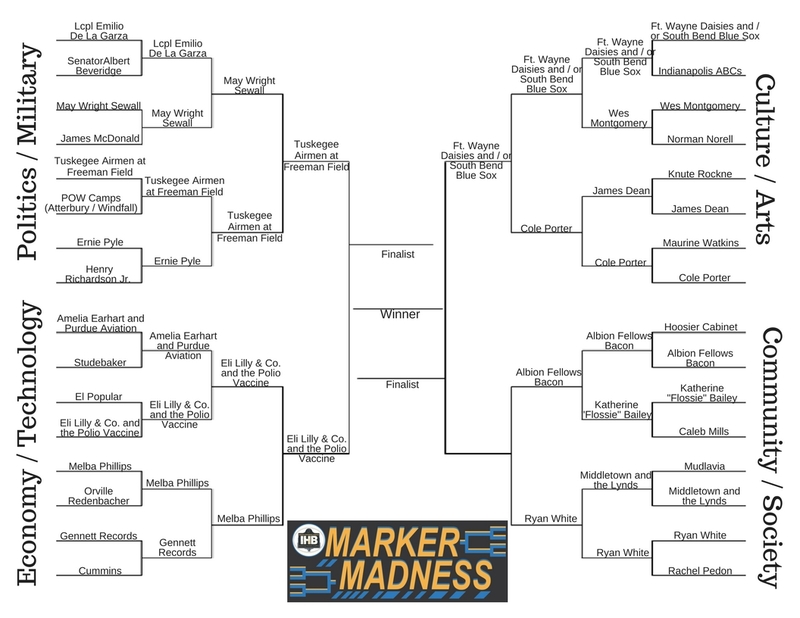 Below are the results of the first round matchups that have come in so far- print your own bracket and pick your winners here! Lindsey Beckley: Hey, this is your host Lindsey here. It’s hard to believe that we’ve been doing the podcast for over a year. And we’ve learned a lot in that time but we’re wanting to learn more. The best way for us to do that is to get feedback from you, our listeners. The number one thing you can do to help us is to let us know what you like…and what you don’t like….about the show. 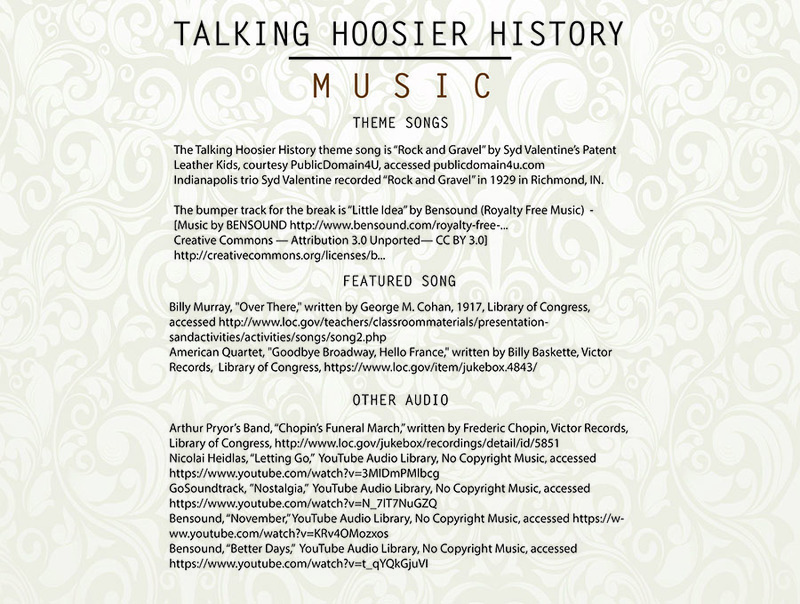 Review us on iTunes, post on our facebook, email us at ihb@history.in.gov, or even tweet at us on twitter. However you do it, we’d love to hear from you. Now, let’s get to the show. 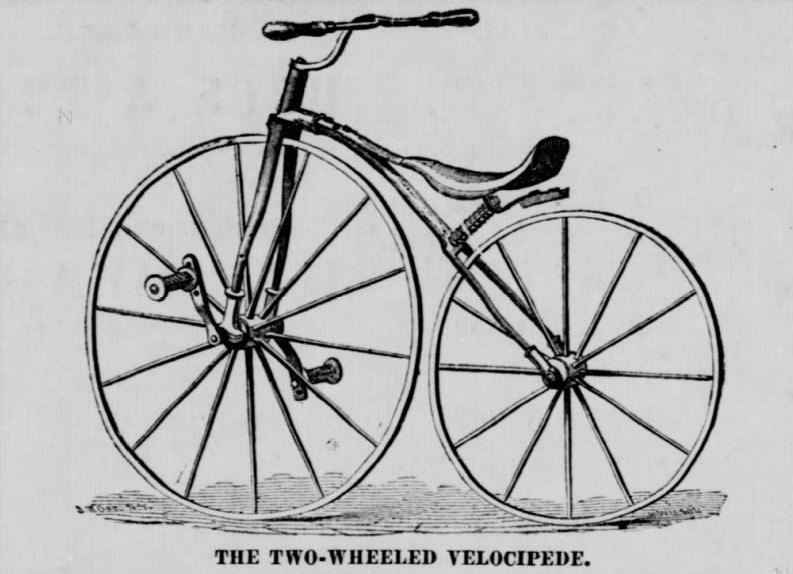 Beckley: Abraham Lincoln once said, “It is a great piece of folly to attempt to make anything out of my early life.” In subsequent years, many, many people have attempted to make something out of his early life. 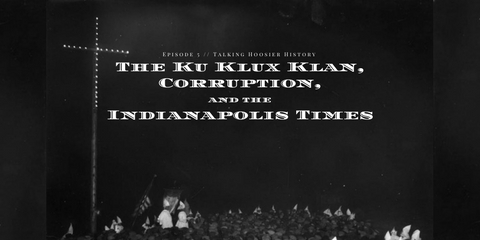 And on this episode of Talking Hoosier History, we will, once again, attempt to make something out of his early life as we explore the myth, the man, and the grey area in-between. It was December, 1816. Indiana was a brand new state and the Lincoln family was moving to the Little Pigeon Creek Community in what later became Spencer County, Indiana. The Lincolns – parents Thomas and Nancy and their children, 9 year old Sarah, and 7 year old Abraham– had lived in Kentucky until then, but Indiana offered an opportunity not available to Thomas before: the chance to hold clear title on a tract of land without dispute. As an added bonus, Indiana was a free state, something which aligned with the Lincoln’s Baptist views. Voice actor reading from Lincoln: He was large for his age, and had an ax put in his hands at once; he was almost constantly handling that most useful instrument. 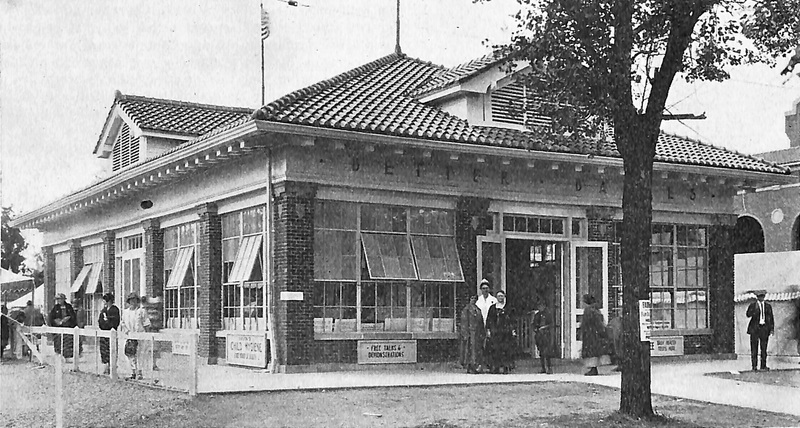 Beckley: The work required to meet the basic needs of food and shelter took up much of the family’s focus, but they still made time for other pursuits. Voice actor reading from account: He scrawled them with charcoal, he scored them in the dust, in the sand, in the snow – anywhere and everywhere that lines could be drawn, there he improved his capacity for writing. Beckley: Because of this fondness for writing, and because neither Thomas nor Nancy had ever quite mastered the skill, Abraham became the de facto letter writer of the family, penning letters to neighbors and family left behind in Kentucky. Reading hearthside in the evenings, the children adventured with Robinson Crusoe, visited a faraway land with The Arabian Nights, and learned many valuable lessons through Aesop’s Fables and the Bible. 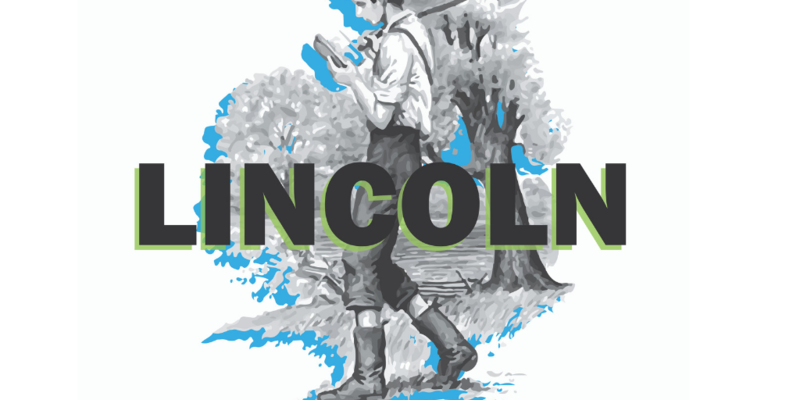 Many people who knew Abraham in his youth recounted how much he loved to read and indeed, many images of Lincoln’s time in Indiana feature the young, lanky boy with a book in one hand and an ax in the other. Beckley: Now a young man, it was time for Abraham to find employment. First, he labored on neighboring farms doing the same kind of work he did on his father’s farm – splitting rails for fencing, clearing land, helping with crops, and slaughtering hogs. While working for neighbor Josiah Crawford, Lincoln noticed that he owned a biography of George Washington which Lincoln had been longing to read. He borrow it, but while reading, he accidently left it on a windowsill, where it was soaked through by rain. Embarrassed by his carelessness, Honest Abe went to Mr. Crawford to tell him the truth – he had ruined the book and couldn’t pay for it. Instead, he worked the debt off with three days of hard labor. Voice actor reading from Lincoln: You may think it was a very little thing, but it was a most important incident in my life. I could scarcely believe that I, a poor boy, had earned a dollar in less than a day. The world seemed wider and fairer before me. I was a more hopeful and confident being from that time. Beckley: Perhaps the most exciting and influential part of Lincoln’s time in Indiana was a two month span in 1828, when Abraham accompanied Allen Gentry on a flatboat trip to New Orleans. Lincoln seized the opportunity to get away from rural southern Indiana and see more of the world by travelling down the Mississippi River with a boatload of agricultural products such as corn, pork, and corn meal. Abraham encountered many new things on this journey; settlements ranging in size from a few families to thousands of people, Spanish moss hanging from the trees, sprawling sugar plantations, and architecture much different than the rustic wooden structures he was accustomed to. One experience in particular from this trip made a lasting impression on the future president. Once they had reached New Orleans, the two young men had a few free days to tour the city before they caught a steam ship back to Indiana. One day, while exploring the city, the two came across something else Lincoln probably had never saw before – a slave market. Beckley: New Orleans was home to the largest slave market in America. In that district of the city, the streets were lined with African American men dressed in blue suits and women wearing in calico dresses. 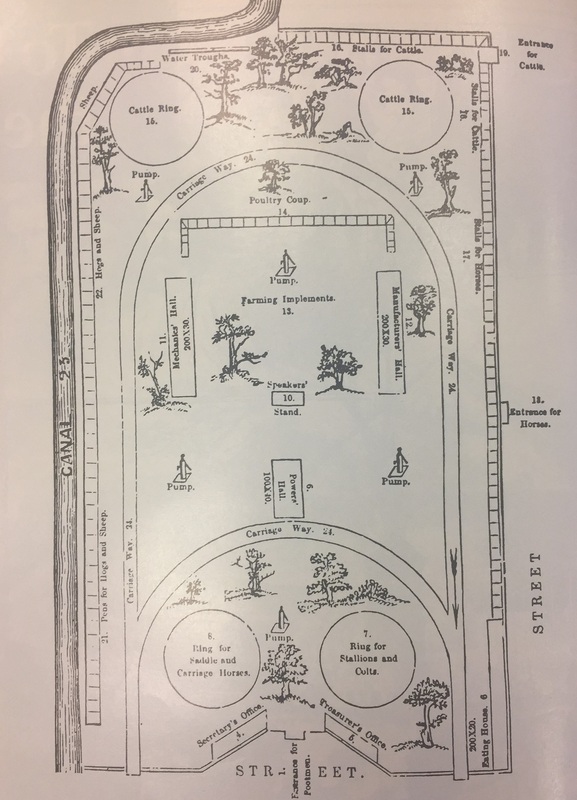 Behind the buildings, there were small, fenced in yards where fifty to one hundred men, women, and children waited to be torn from their families and sent to labor in strange and often cruel circumstances. The streets rang with the sounds of slave traders shouting about the attributes of the people being sold and the din of the crowd below, scrutinizing their appearance and making their offers. Beckley: It’s hard to know how much this encounter by a 19 year old Abraham Lincoln informed the views of 52 year old President Lincoln, but such an experience surely made its mark on his later political beliefs. Beckley: Lincoln first found his interest in law and politics while living in the Hoosier state. The Lincoln farm was situated relatively near 2 different county court houses. It was common at this time for people to attend court hearings for socializing and hearing the latest news. Living near multiple courthouses, Lincoln had ample opportunity to witness skilled lawyers practicing their craft. He also borrowed law books and newspapers, both of which greatly influenced his political development. Nineteenth century papers were highly partisan and when Lincoln first ran for political office in Illinois, his views reflected political arguments he likely leaned from newspaper pages. Voice actor reading from Bowen: Lincoln made Illinois but Indiana made Lincoln. Beckley: And that certainly strikes a chord. He came to Indiana a 7 year old boy and left a 21 year old man. While in the state, he learned the value of hard work and honesty, had his first up close encounter with the horrors of slavery, and developed an interest in law: all of which came together to build the character of one of the greatest US presidents of all time. Now, you might be thinking that story I just told, with little exception, sounds very charming…idyllic, even. But, as is often the case, there’s another side to the story. Let’s start back at the beginning. Voice actor reading from Lincoln: This removal was partly on account of slavery; but chiefly on account of the difficulty in land titles in Kentucky. Beckley: Given what Lincoln went on to do as president, many people play up the first clause of that statement and all but ignore the second. While the Lincolns were, in all probability, anti-slavery, the sentiment probably had less to do with moral outrage about the practice and more to do with economics. Nevertheless, the bigger issue for the family was land titles – 2 different times, Thomas Lincoln purchased property, only to have the titles challenged, and he lost money each time. He decided to move to Indiana over frustration with the lackadaisical way Kentucky land was parceled, rather than over any sort of moral problem with slavery. Beckley: Regardless of why they moved to Indiana, once they settled here, life was hard. Lincoln may have been “large for his age,” but the fact remains that he was a 7 year old who “had an ax put in his hands” to tackle the physically demanding task of clearing land for subsistence farming. What’s more, if he and his father failed to clear enough land, it could spell disaster for the family…the kind of disaster that ends in a slow, horrible death by starvation. The Lincoln’s were in a slightly better position than some, since Thomas was a skilled carpenter with an alternate source of income, but their Indiana existence was still one largely of subsistence farming and hunting. 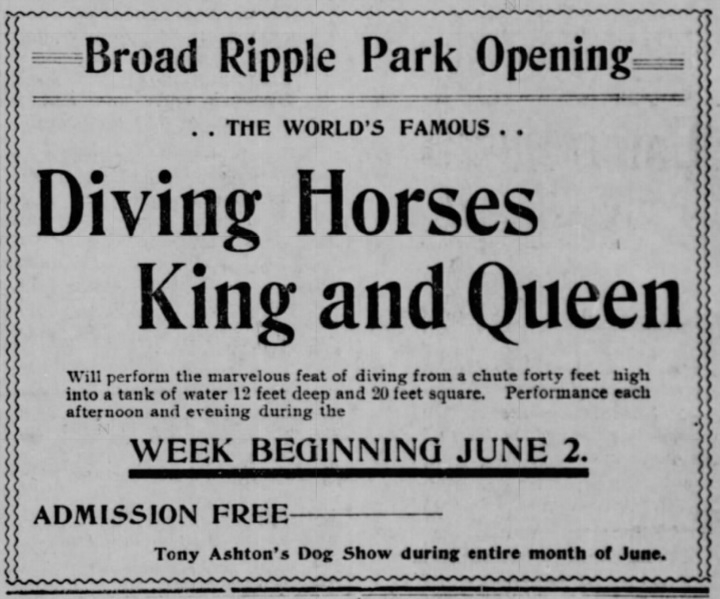 Beckley: And starvation wasn’t the only danger of frontier life. Lincoln remembered the area being populated with bears and panthers. Beckley: Even domesticated animals posed a risk; once Lincoln recalled that he was kicked in the head by a horse when he was 10 years old and was “apparently killed for a time,” which most likely means that he was rendered unconscious…in any case, he wasn’t seen by a doctor to assess the extent of the damage – most likely because there were no – or at least very few – doctors in the area. Beckley: Yet another ever present danger was illness. 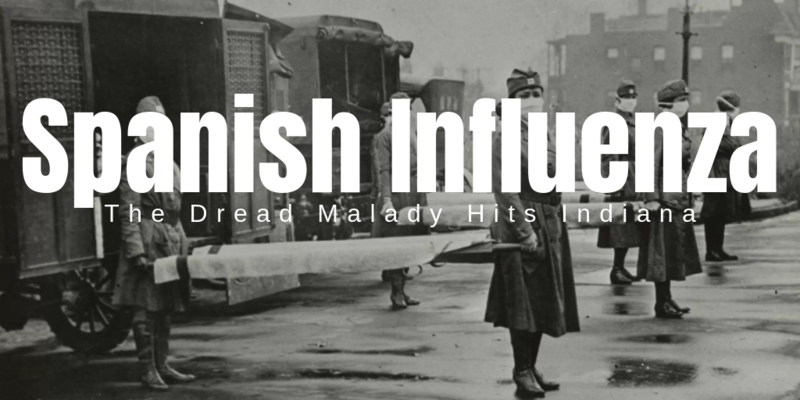 In the Autumn of 1818, the Little Pigeon Creek Community was struck by an illness which went by many names – puking fever, bilious fever, swamp fever, the slows, but most commonly, it was called milk sickness. The cause is now known to be drinking milk from a cow that ate a plant called white snake root, which contains the poison tremetol. But in 1818, they only knew that it seemed to come from drinking milk. That fall, several families in the area were plagued by the sickness, and soon it struck the Lincoln household; Nancy started showing the first symptoms of the illness in late September – that’s weakness, dizziness, and loss of appetite – and on October 5, 1818, Nancy died. Afterwards, 11 year old Sarah took on the duties of her mother, at least until Thomas married Sarah Bush-Johnston, a widow from Kentucky with three children, and that must have made things a bit tight in the household, what with the 3 Lincolns, 4 Johnstons, and 2 orphaned cousins all living in a one-room cabin with a single shared loft for sleeping. Voice actor reading Lincoln: There were some schools, so called; but no qualification was ever required of a teacher, beyond “readin, writin, and cipherin to the rule of three. Beckley: All told, Lincoln estimated that all of his schooling, when added together, didn’t even amount to a full year, and when he filled out his biographical survey for the Dictionary of Congress, he summed up his education with one word: defective. Voice actor reading from account: …set up late reading & rise early doing the same. Beckley: As most of Lincoln’s other employers described him as a hard, honest worker, it’s unlikely that Lincoln actually slacked off in his work; more likely, the neighbor equated traits of intelligence with poor work ethic. Being one of the few introspective, thoughtful people in the area must have been a fairly lonely and frustrating existence for the young Lincoln. With all of this in mind, it’s no surprise that Lincoln sought employment on the river since it got him away from the small community and introduced him to people from a variety of backgrounds. I mean, who could blame him? And after his sister Sarah died in childbirth in 1828, who could blame him for taking the chance to get as far away from his grief as he could by accepting the position on Gentry’s flatboat trip to New Orleans. As I said earlier, this trip may have been the most influential part of Lincoln’s time in Indiana…and it wasn’t even in Indiana. While in the state, he probably felt surrounded by undereducated, uninspired people, being forced to do menial labor, all of which motivated him to “Escape the frontier,” as historian Mark Neely would put it. It was in spite of his Indiana roots that Lincoln became who he was, not because of them. Voice actor reading Black: It is our duty to show the world the Majesty and beauty of his character, as it grew by itself and unassisted, out of this unpromising soil…We must point mankind to the diamonds glowing on the dunghill. Beckley: These two theories differ so much that both cannot be the correct interpretation of the facts. In reality, the truth of the matter is probably somewhere in the middle. Beckley: It’s hard to quantify Indiana’s impact on Lincoln as there are so many variables that come together to form someone’s character. But, we can judge the effect his time in the state had on his politics, as he first ran for public office just two years after leaving the Hoosier state. In his first known political address, the 23 year old candidate for the Illinois General Assembly chose to focus on three issues: high interest rate loans, internal improvements, and education. Voice actor reading from Lincoln: I view [education] as the most important subject which we as a people can be engaged in. That every man may receive at least, a moderate education, and thereby be enabled to read the histories of his own and other counties, by which he may duly appreciate the value of our free institutions, appears to be an object of vital importance. Beckley: This focus on education came directly from his sore lack of public schooling in southern Indiana. Now, his support of internal improvements isn’t quite as obviously connected to his boyhood, but when you consider the fact that his means of access to the broader world was primarily through the Ohio River – and the goods, information, and people it transported – and that at this point in history “internal improvements” mostly referred to development of canals to connect small communities to large waterways, it’s reasonable to assume that seeing firsthand how that kind of access to the larger world could change lives influenced his stance on the matter. Ultimately, it’s unreasonable to say that Lincoln wasn’t influenced by his time in Indiana. He was here from ages 7 to 21. It would be hard to walk away from a place you spent 14 years without being changed by that place. 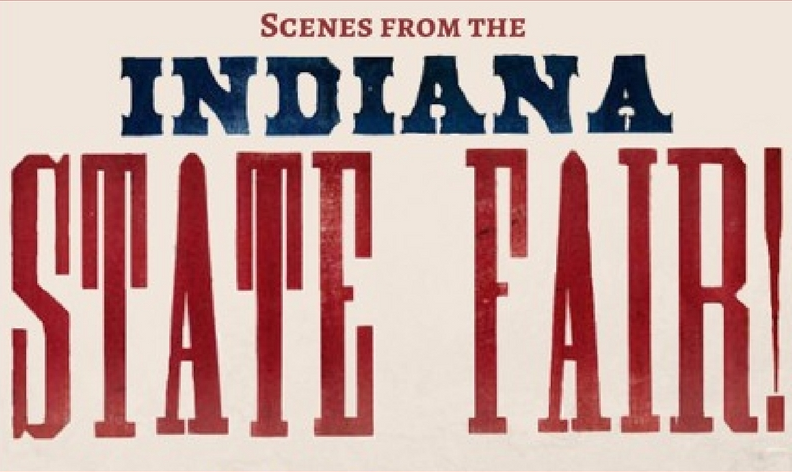 However, it’s also difficult to measure how Indiana shaped Lincoln’s character. His views changed dramatically after leaving Indiana due to life experiences and navigating major political events in American History. He returned only once, in 1844, to his boyhood home. His visit brought back memories of the losses he experienced here, as well as some of the more joyous times. Inspired, he wrote the poem, “My Childhood’s home I see again.” I’ll leave you with a few stanzas. There’s sadness in it too. That formed my bones, I see. And feel I’m part of thee! 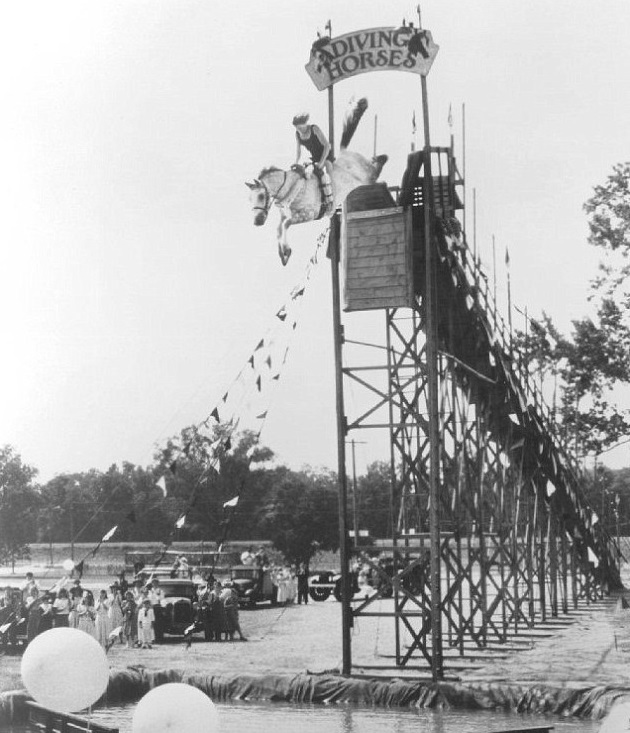 Beckley: Once again, I’m Lindsey Beckley and this had been Talking Hoosier History. Beckley: To learn more about Abraham Lincoln in Indiana, check out the book “There I Grew Up: Remembering Abraham Lincoln’s Indiana Youth” by William E. Bartelt. The featred song of this episode was “Living Things” by Bloomington songwriter Tom Roznowski. It’s from the album “Wilderness Plots.” Visit Tomroznowski.net to learn more. As always, a huge thanks to Jill Weiss, our sound engineer extraordinaire. And Tom Mackie, formerly director of the Abraham Lincoln Library and Museum at Lincoln Memorial University, who did an amazing job bringing life to the world of Lincoln in this episode. Also, thanks to Justin Clark for lending his voice to the show. Stay connected on social media…We can’t wait to hear from you. Thanks for listening! Bartelt, William. “There I Grew Up.” Remembering Abraham Lincoln’s Indiana Youth. Indianapolis: Indiana Historical Society Press, 2008. Campanella, William. Lincoln in New Orleans: The 1828-1831 Flatboat Voyages and Their Place in History. Lafayette: University of Louisiana Press, 2010. Warren, Louis. Lincoln’s Youth: Indiana Years, 1816-1860. Indianapolis: Indiana Historical Society Press, 1959. Greenwald, Erin. “The Price of Life.” The Historic New Orleans Collections Quarterly, Spring, 2015. Lighty, Chandler. “Research Summary.” Research file, Indiana Historical Bureau. July, 2008. Bill Mackie, formerly director of the Abraham Lincoln Library and Museum at Lincoln Memorial University, who voiced Abraham Lincoln in this episode. 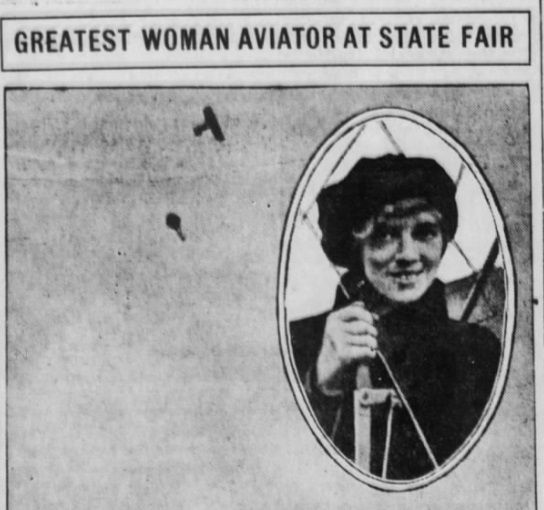 Lindsey Beckley: Zerelda Wallace, described as “the sweet-tonged apostle of temperance,” The “Rarest, noblest woman of her generation,” and “Indiana’s Best Loved Woman,” arrived on the national political stage rather late in her life. She had been married and widowed, raised nearly a dozen children, and attended the same church for 41 years, all before becoming one of Indiana’s most distinguished and respected social reformers of the 19th century. During the 14 years she was active in local and national reform movements, Wallace co-founded the Indiana Woman’s Christian Temperance Union and the Indianapolis Equal Suffrage Association. She spoke at conferences and conventions across the nation. And affected change in the Disciples of Christ church on a national level. During her time on the lecture circuit, she developed an approach which enabled her to address and influence people with vastly different political ideas than her own. With these methods, she personally brought many people to the causes of suffrage and temperance, proving once and for all that it’s never too late to become politically engaged and effect change. Beckley: Born Zerelda Grey Sanders on August 6, 1817 in Millersburg, Kentucky, Zerelda was raised in an environment that fostered intelligence and a deep commitment to faith. She attended boarding school in nearby Versailles, Kentucky, before the family moved to the newly established city of Indianapolis in 1830. Her father, John Sanders, was a physician, a profession in high demand in Indiana as the young state wouldn’t have its own medical college for over a decade. Dr. Sanders took his eldest daughter along on some of his more serious cases to act as his nurse, and soon Zerelda found herself acquainted with prominent citizens of the city who encouraged her to study works by great thinkers such as philosopher John Locke and writer Harriet Martineau. The most important book in the household, though, was always the Bible. 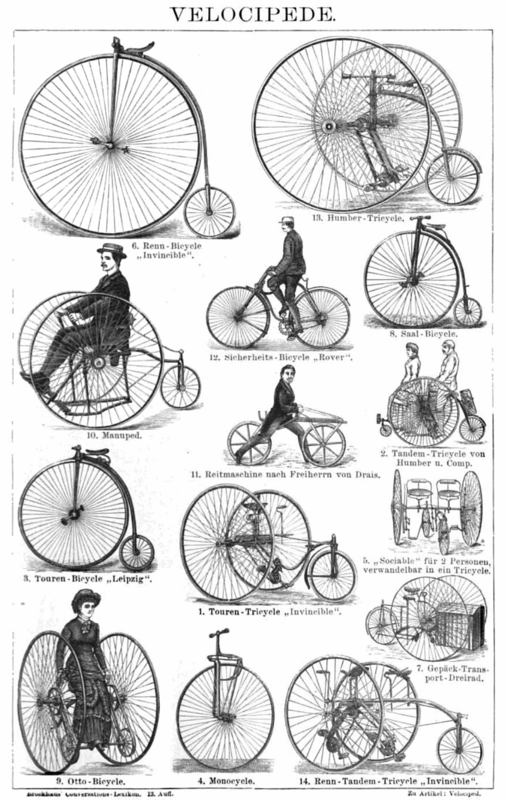 The early 19th century was a time of religious revival in the United States. 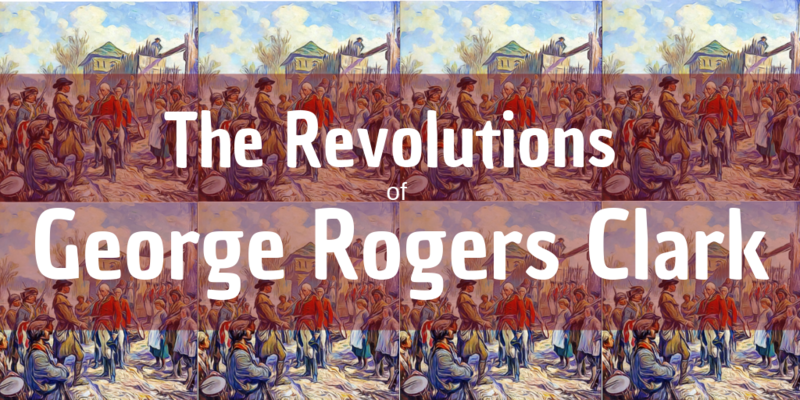 Often referred to as the Second Great Awakening, this religious resurgence reflected the sentiments of romanticism – it emphasized emotion and feeling over logic and reasoning. One popular tenet of the Second Great Awakening was the pursuit of Christian perfection. Zerelda grew up right in the midst of this movement – both in time and place. Stretching from around 1790 to the early 20th century, it had several hot spots, one of which was just 10 miles from Zerelda’s hometown, in Cane Ridge Kentucky. Eventually, the ideals expressed in the movement would be central to her social reform activities. From a young age, she was encouraged to memorize bible passages and some sources say that she had memorized the first 14 books of the bible by age twelve. In 1833, when Zerelda was 16, she and her parents were among the 20 charter members of the Church of Christ in Indianapolis. Zerelda’s faith was the foundation upon which her social activism rested…but that’s getting a bit ahead of ourselves in the story. Voice actor reading from General Wallace: I was inclined…to have nothing to do with this mother which our father was giving us. 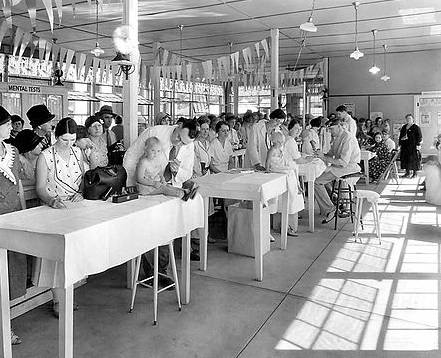 We were not given time enough to wash our hands and to put on clean clothing, which probably had something to do with our ruffled feelings. Our stepmother was then very young, but she seemed to know exactly what to do under the circumstances and just how to talk to us. She showed us infinite gentleness and tact and made us feel that she was interested in us for our own sakes. Beckley: The next year, David Wallace became the governor of Indiana. He later served a term in the US House of Representatives and as a judge in the Marion County court of common pleas. While not much has been written about this time in Zerelda Wallace’s life, it is said that she advised her husband on political issues and reviewed and critiqued his speeches and writings, something which almost certainly helped to hone her rhetoric. Pair that experience with the fact that she glimpsed the inner workings of government at the state, and national level during these years and there is little doubt that this time in her life facilitated her later political activism. In 1859, 42 year old Zerelda Wallace was widowed and left with few financial assets. Even with young children to care for, she declined her family’s offer of financial help and relied instead upon her own initiative and resources by taking in boarders to make ends meet. Eventually, children were out of the house and she began turning her attention to improving society. In comparison to more…radical…figures like Carrie Nation, the members of the Indiana WCTU were fairly reserved. While Nation would gain wide spread fame through her rather violent tactics, such as using rocks, bricks, and (most famously) hatchets, to destroy the liquor supplies in saloons and put an end to drinking, Indiana’s WCTU used literature, missionary outreach, and petitions to reach that same goal. It was during this time of growing activism in Wallace’s life that, at the age of 57, she delivered her first public address. Voice actor reading from Wallace: the moment I began to speak all terror left me, and the devotion I felt for my theme gave me an almost superhuman confidence. Beckley: Wallace did not live to see the prohibition era. However, through her temperance work, she became the catalyst of a similar outcome, on a much smaller scale, within her own church. Years into her temperance crusade, Zerelda Wallace stood up in her Disciples of Christ church service and announced that she found it inconsistent with the congregation’s beliefs to use wine for communion and that she would no longer take communion unless unfermented grape juice was substituted. The church council, which Wallace was a member of, met and it was decided that the Indianapolis church would no longer use fermented wine for communion. In short order, all Disciples of Christ churches in America followed suit. Temperance wasn’t the only cause Zerelda Wallace dedicated the later years of her life to. We’ll get to Wallace’s work in woman’s suffrage after we take a quick break. Beckley: We’re always looking for ways to learn, improve, and grow here at Talking Hoosier History. If you’d like to help us in that goal, please consider taking our online survey! You can find the survey on our website at in.gov/history/talkinghoosierhistory. For the survey, we’ll ask you to re-listen to 3 of our episode and answer just 2 questions about each. Once you complete the survey, you’ll be entered for a chance to win a FREE copy of The Notorious Mrs. Clem: Murder and Money in the Gilded Age, the book featured in the author interview episode. That’s right: you could win a free book for answering just 6 questions. Once again, to find the survey visit in.gov/history/talkinghoosierhistory. Now, let’s get back to the show. 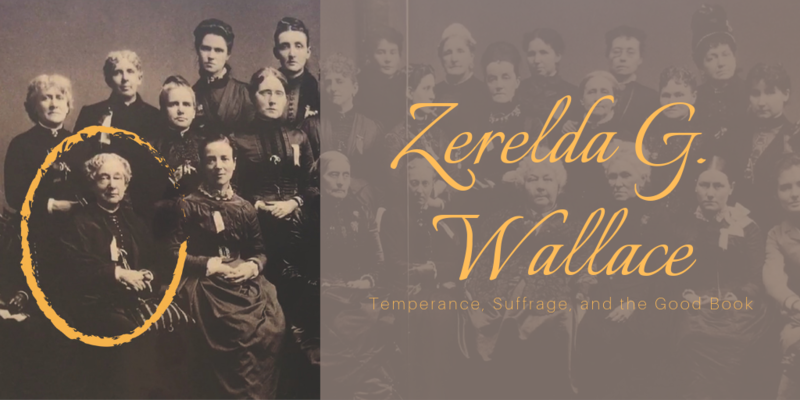 Beckley: When first reading about Zerelda Wallace, one thing that really stuck in my mind was her dramatic transformation from temperance worker to suffragist. This “conversion story,” as it’s called in some sources, depicts the one moment when she shifted from a temperance leader to a suffrage leader. In doing more research on her life, I’ve found that it wasn’t so much a conversion; that word implies that she left one cause behind when she took up the next. In reality, her suffrage work developed out of her temperance work, just as her temperance work developed out of her faith. Nevertheless, suffragists discussed this watershed moment in Wallace’s political involvement even many years after her death. Voice actor reading from Wallace: If we women are citizens, if we are governed, if we are a part of the people, according to the plain declarations of the fundamental principles which underlie this nation, we are as much entitled to vote as you, and you cannot make an argument against us that would not disfranchise yourselves. Beckley: So, on that day, she added suffrage to her agenda, as she saw that temperance wouldn’t be achieved if women didn’t have the vote. Before leaving the State House, she found the offending senator and thanked him for making her a suffragist. Wallace’s suffrage work, much like her Temperance advocacy, was very moderate. To modern ears, some of her speeches are maddening. She often massaged the egos of the men she was speaking to, expounding on their accomplishments and expressing gratitude to them for building the great world around her. But it’s important not to bring a modern bias into analysis of a 19th century figure. Wallace’s views may best be understood through the lens of republican motherhood. Beckley: Republican motherhood is a term used by historians to describe ideas that go back to 18th century philosophers, including John Locke, whose work, as previously mentioned, Wallace was familiar with. Simply put, republican motherhood turned woman’s domestic and moral roles into an argument for political power. The thinking went like this: Women raise boys into men and so presumably have a hand in shaping their political and moral identities. Surely, then, women who are able to participate in the political system not only raise more politically savvy men, but also introduce into politics that same morality that they instill into their children. It was a way for women to gain more political power without threatening the existing patriarchal system. Wallace’s background fit perfectly into this school of thought; it was only after she fulfilled her duties as wife and mother that she began devoting her time to social reform. She didn’t shirk her domestic responsibilities to take up politics. And it was only for moral betterment that she took up the cause at all. In short, she was a perfect picture of republican motherhood. Voice actor reading Wallace: …pre-eminently woman is the teacher of the race; in virtue of her motherhood she is the character builder; she forms the soul life; she rears the generations. It is not part of woman’s work to contend with man for supremacy over the material forces. It was never told to woman that she should earn her bread by the sweat of her brow. Beckley: Using these sentiments, Wallace attempted to steer Indiana and the nation towards greater equality. In May 1875, just months after she had stood in front of the Indiana senate with her temperance petition, Wallace began to incorporate suffrage sentiments into her temperance speeches. She presented a resolution at the second temperance convention in Cincinnati calling for a national vote of men and women on the issue of prohibition, subtly calling for universal suffrage. Due in large part to her astute manner of speaking on the issue, the measure passed, and even gained support from anti-suffragists. From there, Wallace began traveling the country stumping for the cause of universal suffrage. These activities both increased her prominence within the movement and provided her with a much needed income. Wallace was by no means a pioneer in the fight for suffrage equality. As far back as 1851, there was enough interest in the cause to warrant the formation of the Indiana Woman’s Rights Association. Unfortunately, though, the movement had stagnated due to the Civil War. In March 1878, May Wright Sewell, probably Indiana’s most prominent suffragist, discreetly circulated a summons to Hoosiers with “advanced ideas” about women’s rights to a meeting where a new organization would be formed. Ten people, including Zerelda Wallace attended that first, rather secretive meeting. The only matter decided, though, was the name; The Indianapolis Equal Suffrage Association, a name which the group agonized over, debating whether to state their goal openly in the name or to mask their intentions. Obviously, they decided on the first option and set another meeting for April, in Wallace’s living room. That second meeting was much more fruitful; the 26 attendees drafted a constitution and elected Zerelda Wallace president. Unsurprisingly, this new organization shunned the more radical approaches taken by other entities, such as open protest and rabble-rousing speeches. Rather, they worked within the established system, one which Wallace became familiar with through her late husband. The Association turned to lobbying, organized letter-writing campaigns, well-reasoned speeches, and projected an overall reserved version of the suffrage movement in order to achieve their goals. In 1881, their calm determination paid off; The Indiana General Assembly voted in favor of woman’s suffrage. 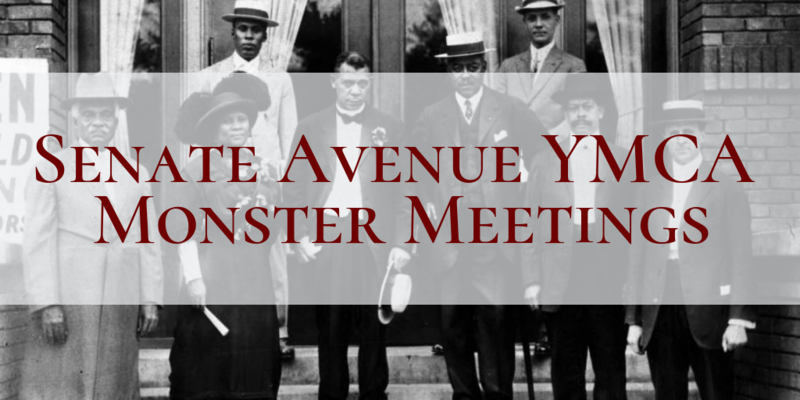 However, the proposed amendment required the resolution to pass in the next General Assembly and by 1883, the close connection between suffrage and temperance swayed enough assembly members away from the cause that the measure failed to pass. With that great disappointment behind her, Wallace kept at her work on both the state and national level. Voice actor reading from Wallace: It took a hundred years and a Civil War to evolve the principle in our nation that all men were created free and equal. Will it require another century and another Civil War before there is secured to humanity the God-given inalienable right to ‘life, liberty, and the pursuit of happiness?’” “Men say women are not fit to govern because they cannot fight. When men live upon a very low plane so there is only one way to manage them and that is to knock them on the head that is true. It probably was true of government in the beginning, but we are able to grow up out of this low state.” “I have nothing but pity for that woman who can fold her hands and say she has all the rights she wants. Beckley: Wallace continued to travel the US speaking in favor of universal suffrage until she was forced to retire to her daughter’s home near Cloverdale, in Putnam County after collapsing on-stage in 1888. Unfortunately, Wallace did not live long enough to see the actualization of the two causes she had dedicated her life to as she died on March 19, 1901. On January 1, 1920, the United States of America went dry after the passage of the 18th amendment. Less than a year later, on November 2, 1920, the first presidential election in which all Americans, regardless of gender, could legally vote, was held. Wallace’s republican motherhood-esqe take on the suffrage issue may not fit well into today’s views of women’s roles in politics, but her measured, thoughtful, and principled approach to the subject is what made her such an effective advocate. She could, and did, go into a room full of anti-suffragists and give a speech appealing to their hearts, to their minds, and, most importantly, to their morality and leave some changed opinions in her wake. Someone more radical, who pushed more boundaries, may not have had such success. 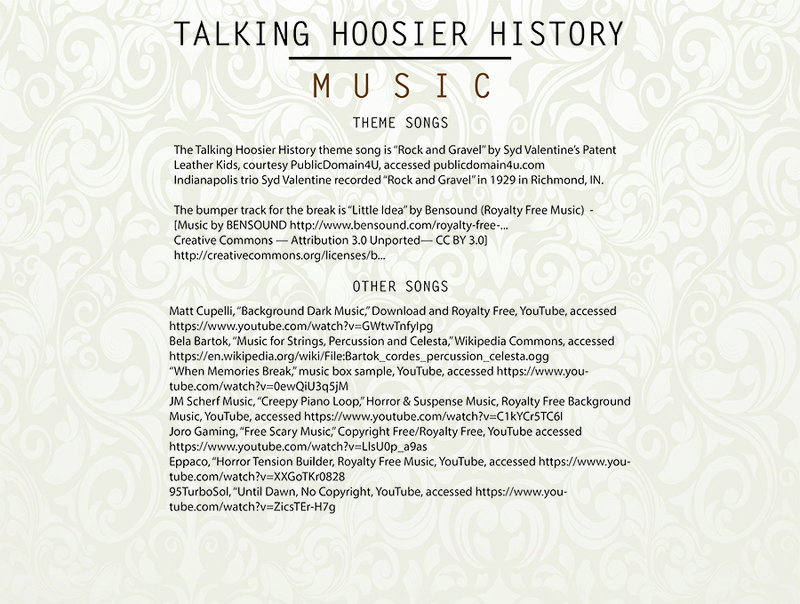 Once again, I’m Lindsey Beckley and this has been talking Hoosier History. As always, thanks to Jill Weiss, our sound engineer extraordinaire, in this episode, she had her voice acting debut as Zerelda Wallace. And thanks to Justin Clark, the voice of all newspapers here on the podcast. Remember you have a chance to win a FREE book by taking our survey. You can find the survey at in.gov/history/talkinghoosierhistory. Stay connected on by liking us on facebook or following us at @TalkHoosierHist and if you like what you hear, subscribe, rate and review us wherever you get your podcasts! Thanks for listening. Cady, Elizabeth and Anthony, Susan. History of Woman Suffrage, Volumes I-V. Rochester: Anthony, 1887-1902. James, Edward. Notable American Women 1607-1950: A Biographical Dictionary, Volume III. Cambridge: The Belknap Press of Harvard University Press, 1971. Pg 535-536. Riker, Dorothy. Messages and Papers of David Wallace. Indianapolis: Indiana Historical Bureau, 1963. Rudolph, L.C. Hoosier Faiths: A History of Indiana’s Churches and Religious Groups. Bloomington: Indiana University Press, 1995. Pg 61-106. 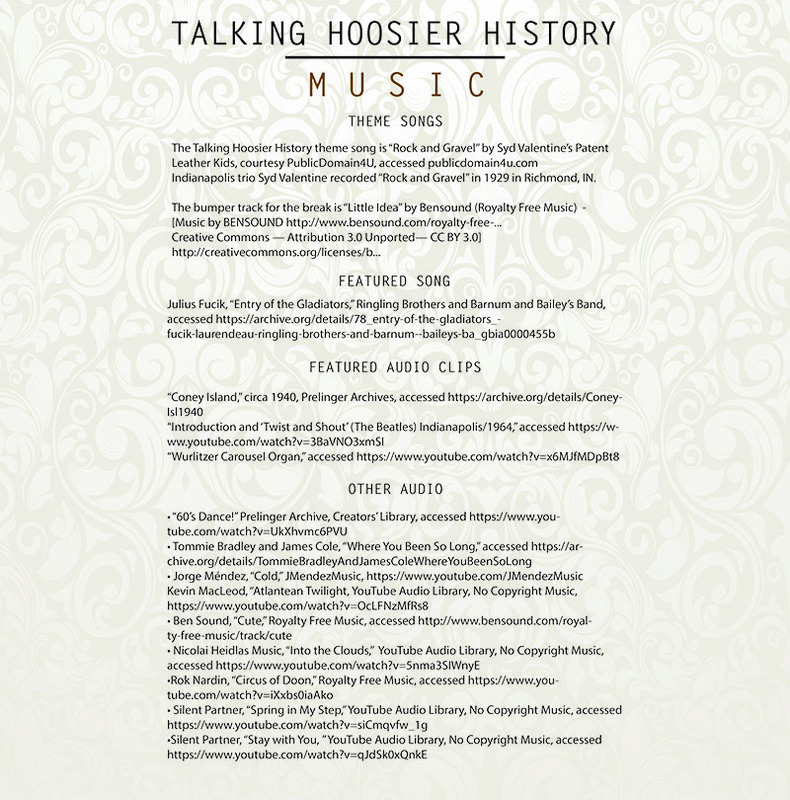 Jill is the sound engineer for Talking Hoosier History. She does everything from set up the recording equipment to selecting the music featured in each episode as well as actually mixing. In this episode, Jill also played the part of Zerelda Wallace, making her voice acting debut.